A Daily Dose of Fit: Up next: Fall fitness plan. I have been training for a half marathon since March. To some, that might not seem like anything. But to me, it seems like a lot. Factor in a hefty teaching schedule, other job responsibilities, plus life at home with my family—It's a lot for a girl to handle. Even if I do only work part time. Because trust me, I'm not the type to sit on the couch and eat bon bons in my free time. I keep it busy. So I've been reflecting on the "What's next?" question all weekend. I know it's not about the medal, but when you get one, you want more. And I know that I could probably whip out another half or two before the year is out. But as of right now, I think this is going to be the last half I do this year. Mom and sis are running a half marathon in a few weeks. Part of me really wants to run it, too. But part of me knows that I need a break. Mentally tired of the training schedule. I want to run free for a bit. Not because I "have to," but because I want to. I want to run to relax, not to race. But that's not me saying all races are off the table because I think it would be fun to do some smaller, more local runs. I'm thinking The Color Run in October in my hometown (if it's not sold out). I'm also going to be adding another Spinning class to my schedule at the end of the month. One of my instructors will be out for a few weeks and I've agreed to take on her class. So I'll be teaching five times a week at that point. I'm not sure I can handle a training schedule AND five fitness classes. 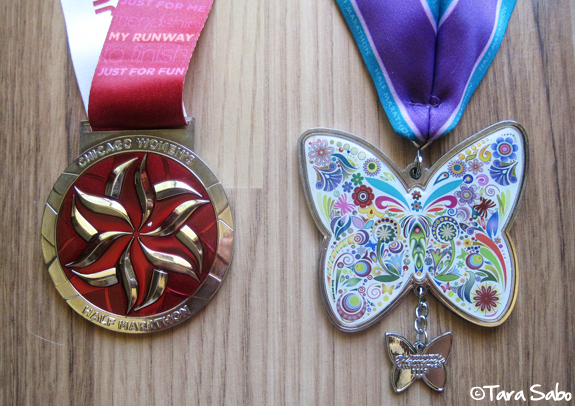 I only pick races with cool medals. Saturday and Sunday will be interchangeable because I never know what we'll be doing. I'll snag two rest days or I'll go for a run on one day (but never both). And when I say rest day, I'm leaving that open to some gentle yoga if the opportunity presents itself. I miss yoga. Question: What are your Fall fitness plans? 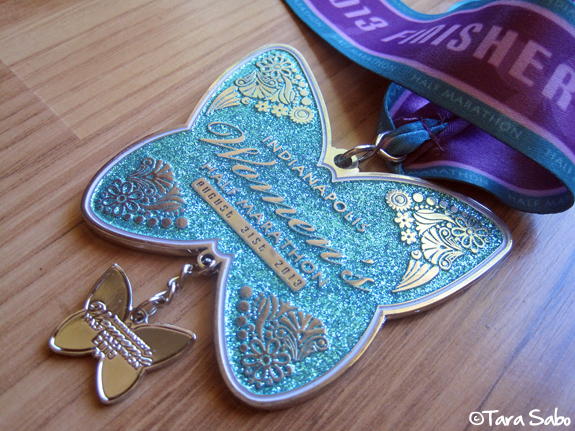 That is the prettiest medal I have ever seen! Super jealous! Isn't it adorable?! 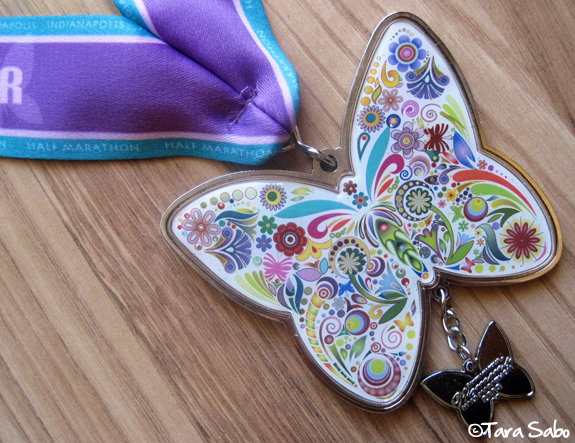 I think it would be so fun to design race medals.